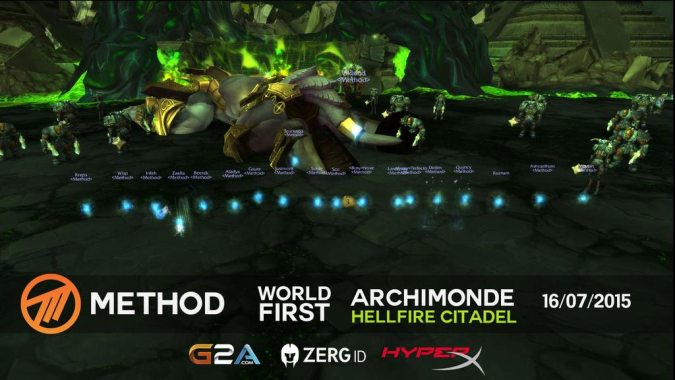 After a few harrowing weeks and raid resets, Method has come through with the world first Mythic kill of Archimonde, the final boss in Hellfire Citadel. Their journey has not been an easy one, rife with raid lockout issues unique to Mythic mode that kept them from entering the instance at times. Fast on their heels have been several other guilds within killing distance, but Method has pulled through. Archimonde has been notable in that it has been quite a while since a world first clear has taken this long, since Al-Akir in Cataclysm‘s Tier 11. It’s a very exciting day for Method — congratulations!